Our staff are the most integral part of our company and we have hand picked them to ensure that we provide friendly, competent and professional individuals who will assist you in making your event an unforgettable experience. No two events are the same and the days of providing a “cookie-cutter” service are long gone. We fully embody this belief and will take great care in determining your needs beforehand and helping you to maximise the success of your event. 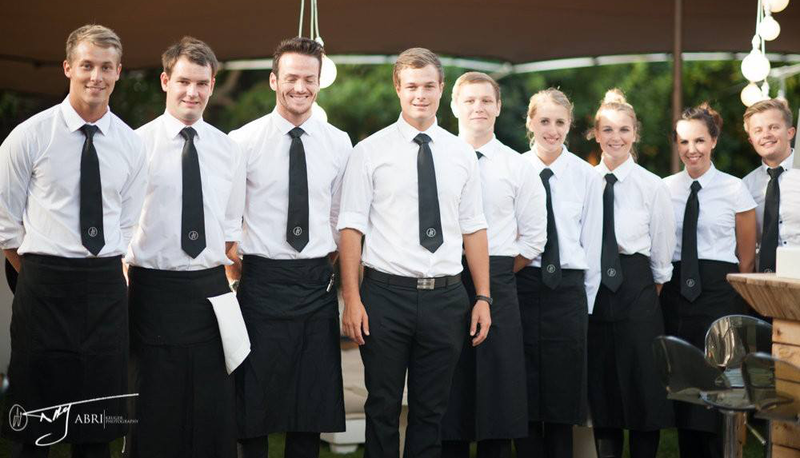 Founders, Nicolaas Carstens and Nicolaas van der Westhuizen have first-hand experience in providing events staffing assistance and have fostered several professional relationships with industry experts. We proudly go to great lengths in order to ensure that we find the best candidates to suit the requirements for your event. Here just a few of the staff that we can provide. 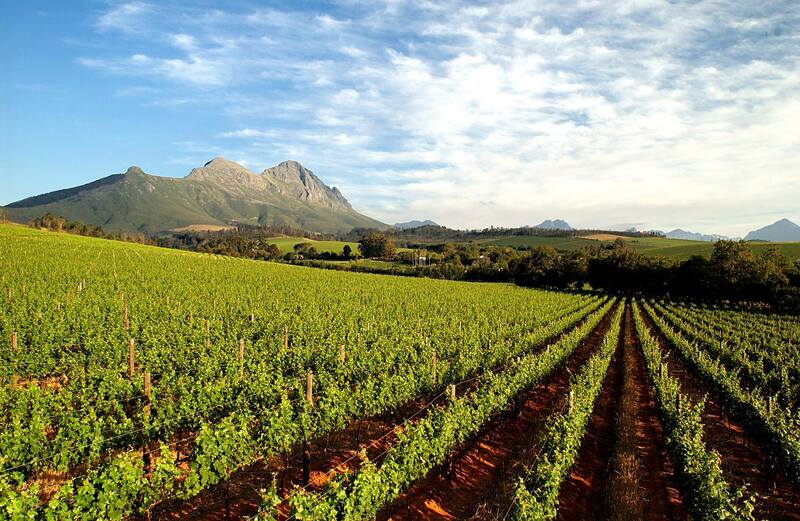 EXACT EVENTS STAFFING supplies world class staffing solutions for functions, weddings, parties and corporate events within the Cape Winelands region. 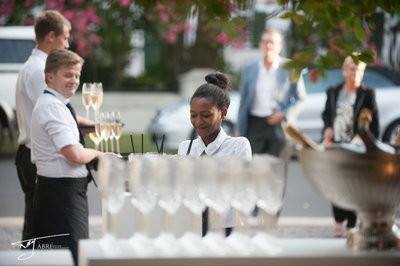 We provide highly trained waiters, bartenders, promotional staff and supervisors dedicated to delivering excellent service and ensuring the success of your event. Our hardworking staff contribute unique talent, insight and professionalism towards the service industry. This is why great lengths are undertaken to ensure we find the best candidates. With our combined drive towards success and unparalleled professionalism, we aim to bring you the best service in the industry. Whether you are a venue owner, event organiser or simply in need of staff for a private function, we will gladly assist you in your endeavor.